Born in Toronto, Stan has always been in love with nature, art and design. 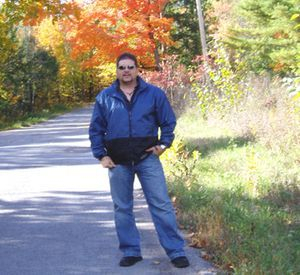 He has a formal background in Architecture, Design and Welding and currently lives and works from his country studio and home north of Belleville Ontario. His pieces of one-of-a-kind natural materials are inspired from nature and his Native American background history and heritage. He has been an artist from a boy to a man and his pieces can be found in homes and businesses worldwide. At Natural Sculptures, we are focused on providing custom and unique art with the highest levels of customer satisfaction – we will do everything we can to meet your expectations. With a variety of mediums to choose from, we’re sure you’ll be happy with your new art pieces. Look around our website and if you have any comments or questions, please feel free to contact us. We hope to see you again! Check back later for new updates to our website. There’s much more to come!